The families of three people killed in crashes last year filed lawsuits against Lindsay Transportation Systems, maker of the allegedly defective X-Lite guardrails that caused their deaths. 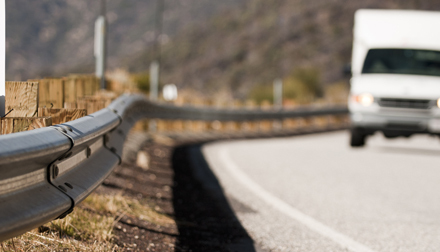 In each crash, the X-Lite guardrail separated rather than collapsing backward to absorb impact as it is designed to do, thus impaling the cars and killing the drivers and passenger. Crash victims Wilbert Byrd, Lauren Gambill, and Jacob Davison are three of at least seven in three states linked to the X-Lite guardrails. Lindsay Transportation Systems asserts that the claims are “without merit” and that “X-Lite has successfully passed crash and safety tests in accordance with federal standards.” However, the Tennessee Department of Transportation found that in some high-speed crashes, the first section of rail can separate, allowing the next section to potentially spear a vehicle. The state sent a letter to federal regulators expressing concerns about the guardrails and is spending millions to remove all 1,800 of them from Tennessee roads. In response to the Tennessee DOT’s concerns about the guardrails, the Federal Highway Administration (FWHA) and the U.S. Department of Transportation launched an initiative to raise awareness of the issues and promote safe roadside hardware. They are also offering reimbursements for states to replace the guardrails. The FWHA is in the process of collecting information and data from all 50 states and Puerto Rico on their use of these guardrails and accidents involving them. Most X-Lite guardrails are in West Virginia, Massachusetts, Tennessee, Maryland, Texas, North Carolina, and Virginia, and 29 states have the device installed on state-owned roadways. Nine states, including Tennessee and Delaware, have banned, stopped buying, or started replacing them since the incidents. This issue is nothing new. In 2015, guardrail maker Trinity Industries was ordered $663M in penalties after they were accused of producing a faulty product that also jammed and speared through vehicles. In 2008, Feldman Shepherd attorneys John M. Dodig and Jason A. Daria secured a $31M verdict for their client, Nicholas M. Anderson, after a defective guardrail penetrated the driver’s side door of his vehicle, severing his right leg. The lawsuit faulted Camden County for not complying with safety standards knowing the guardrail was dangerous and not repairing it.